From 12 – 23 October in Medway and 26 October – 6 November in Canterbury. The Careers and Employability Service (CES) is co-ordinating a fantastic festival of events that you don’t want to miss. Do you need some advice on writing a great CV, preparing for interview or assessment centres? Pondered what it’s like to work in a particular career? Or wondered what previous students from your subject have gone on to do? Building on the success of the last two years, Employability Festival gives you the chance to do all this and more. 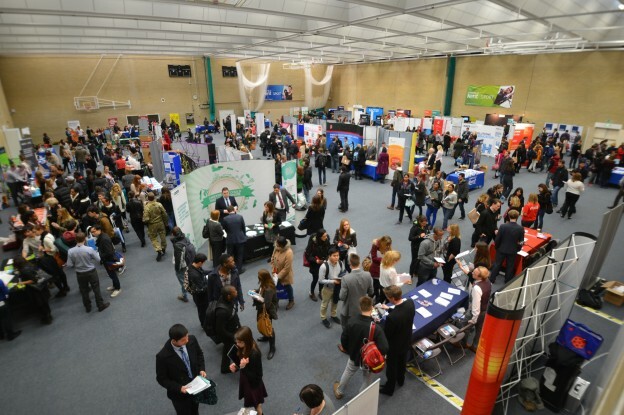 The highlight of the festival is the annual Careers Fair on Tuesday 3 November from 12.00 – 15.00 in the Sports Centre (Canterbury campus) where the University plays host to over 120 graduate employers. Take charge of your future! To find more visit the CES webpages. This entry was posted in Medway Student, Student Guide on 26 August 2015 by Allie Burnett.